Portugal is a major geographical link in the European leg of China’s New Silk Road project (NSR). A visit by Chinese President Xi Jinping to Lisbon on December 4-5, 2018 produced seventeen cooperation agreements thereby reaffirming the two parties' readiness to expand economic partnership (1). The livening up of Sino-Portuguese relations is key to Beijing’s comprehensive strategy of boosting cooperation with Portuguese-speaking countries. Adopted fifteen years ago, this strategy has brought about an increase in the volume of trade between the PRC and the Portuguese-speaking nations by more than 19 times - from $ 6 billion in 2002 to $ 117.6 billion in 2017 (2). The port of Sines - Portugal's sea gate to the Atlantic and Africa – carries a particular importance with its well-developed infrastructure and all the facilities to be used as a transit point for Chinese products bound for America and Africa. Another important point is the Azores, a part of Portuguese territory stretching deep into the Atlantic. Lisbon has consented to Beijing’s participation in the construction of scientific and logistics infrastructure in the archipelago, which is tantamount to a stronger Chinese economic presence in the region. In relation to China and within the NSR project, Portugal plays the role of an infrastructure and logistics counterweight to France, which is trying to shift the focus of French-Chinese cooperation in the direction of the Mediterranean and North Africa - to fight against terrorism in the Sahel region and provide investment support of the French-speaking Sahel "Five" (Chad, Mauritania, Burkina Faso, Niger, Mali). Beijing is interested in moving via the Atlantic westward. From the geographical point of view, Portugal is a good partner here - cooperation with it takes China beyond the Mediterranean. According to the Chinese leader, for Beijing, Lisbon is a point of linking the land and sea segments of the NSR and a promising partner in the development of the “sea wave economy”. The position of Paris regarding the NSR project is characterized as cautiously positive, envisaged by the Franco-German Aachen agreement of January 22, 2019 (3) and affected by competition with Italy (Italian Trieste and French Marseille compete for the main port of the NSR in the Mediterranean). The Aachen agreement diplomatically outlines the geopolitical axis Paris-Berlin, endowing the French-German relations with a special status. 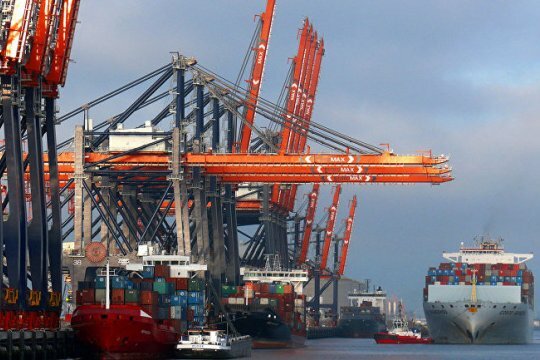 Against export-oriented German economy (in 2018, exports went up 3% against 2017, reaching $ 1.318 billion), Beijing’s economic activity in Europe is seen as a challenge (4). Negotiations between French President Emmanuel Macron, German Chancellor Angela Merkel and European Commission Chairman Jean-Claude Juncker and China’s Xi Jinping on March 25-26 demonstrated the EU's consolidated position and marked a successful attempt to secure common gains from building up cooperation between the EU (without Italy) and the PRC (5). 871: 30 seconds to mars. China: via Portugal into Africa and Latin America9 April 2019: China: via Portugal into Africa and Latin America! лучшие комедии. China: via Portugal into Africa and Latin America.